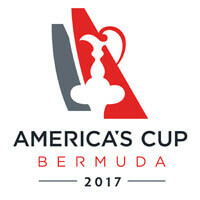 The eyes of the world will be on Bermuda as the Defenders of the America’s Cup, ORACLE TEAM USA, will be fighting it out on the Great Sound with the finest sailors in the world racing the fastest boats ever to race in the America’s Cup. The challenger teams competing represent Great Britain (Land Rover BAR), Japan (SoftBank Team Japan), Sweden (Artemis Racing), France (Groupama Team France) and New Zealand (Emirates Team New Zealand), so fans from around the world will be flocking to the beautiful island of Bermuda to witness the greatest America’s Cup staged in its 166 year history. 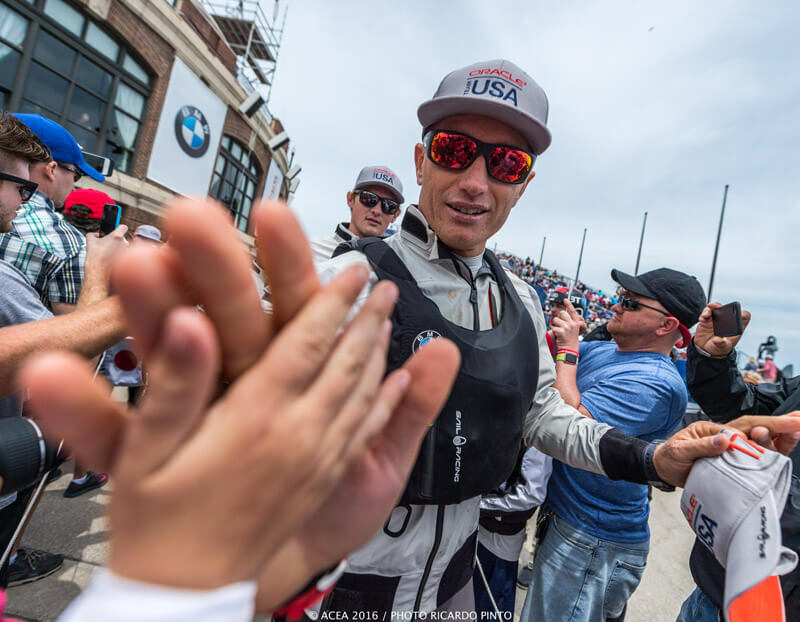 On 26th May the events will start with the Louis Vuitton America’s Cup Qualifiers, with all six America’s Cup teams competing in a double round robin series of match races. 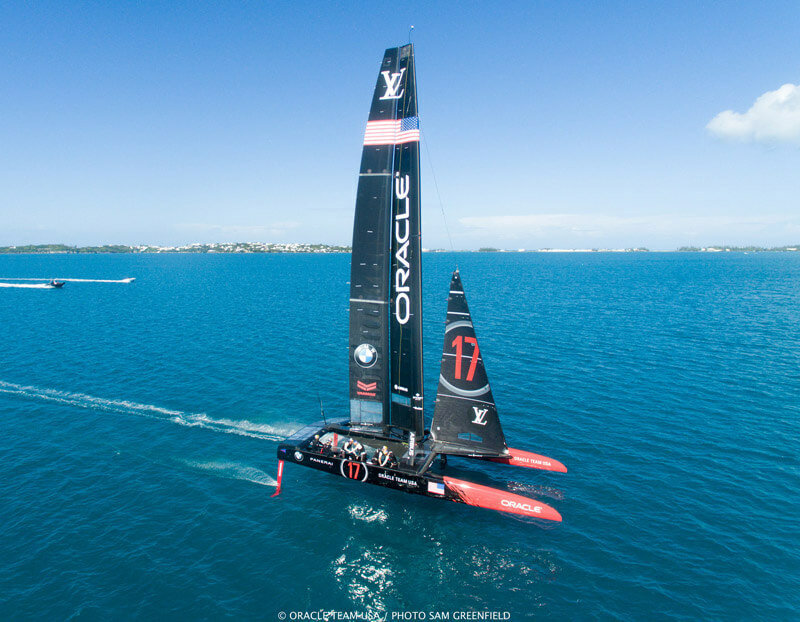 That preliminary round of racing is scheduled to conclude on Saturday 3rd June, when one team will drop out of the reckoning, and ORACLE TEAM USA, the Defenders of the America’s Cup, will stand back from the next round, the Louis Vuitton America’s Cup Challenger Playoffs. Featuring four teams, the Louis Vuitton America’s Cup Challenger Playoffs are the prelude to the America’s Cup Match presented by Louis Vuitton and are scheduled to run from Sunday 4th June until Monday 12th June, by which date the identity of the team which will challenge ORACLE TEAM USA for the America’s Cup will be known. The America’s Cup Match presented by Louis Vuitton will then run from Saturday 17th June to Tuesday 27th June in a ‘first to seven’ race program (with one point for a win), with the official Challenger and ORACLE TEAM USA, the Defender, fighting it out in front of thousands of fans in Bermuda, and millions more worldwide on TV and online. The America’s Cup Village will have a range of opening and closing times, depending on the day. The event schedule can be found by clicking here. The heart of all the action in 2017- enjoy entertainment, sailor autograph sessions, a kids zone and the best of Bermuda’s food and beverage. Within the America’s Cup Village, enjoy a dedicated bar, big screen and unrivaled views of the finish line from the shaded comfort of a grandstand seat. Enjoy the lively atmosphere at the go-to bar in the America’s Cup Village, includes a delicious lunch and official America’s Cup merchandise. Spectacular views of the action from a front row position on the Great Sound America’s Cup racecourse. 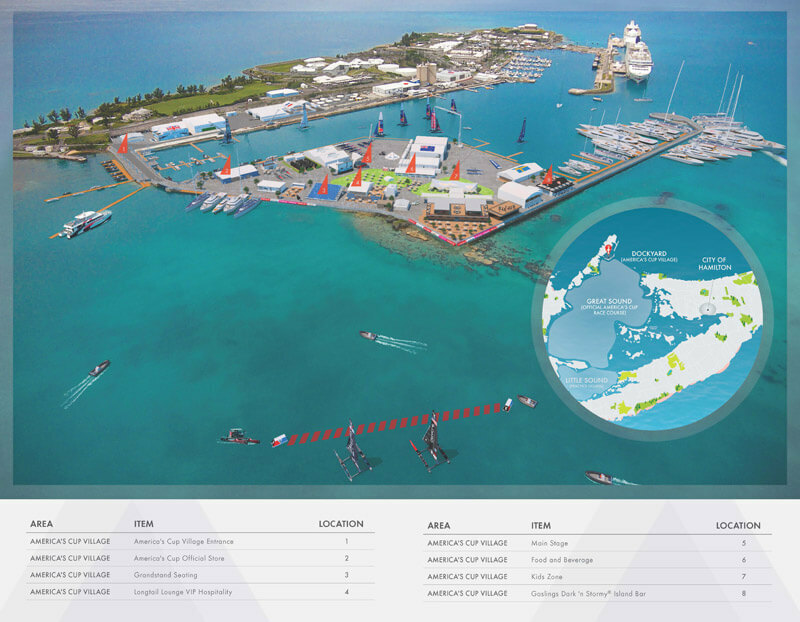 The place to go in the America’s Cup Village for a full VIP experience including complimentary food and beverage.